Next Monday the Duchess of Cornwall will once again visit Cunard's Queen Victoria, the ship she named back in December 2007. Camilla will visit the Queen Victoria when she docks in Liverpool for the first time on the 26th July, as part of celebrations for the 170th Anniversary of the company's first ship setting out from Liverpool in July 1840. 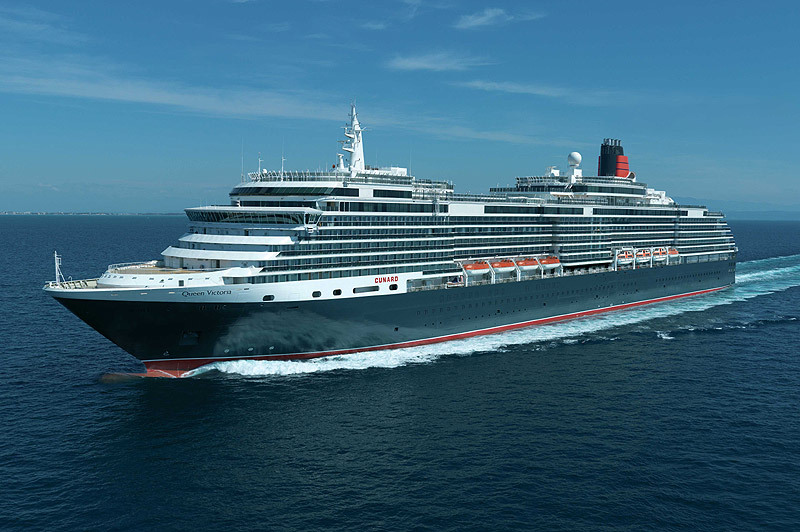 Peter Shanks, Cunard’s president and managing director, said: “Cunard is honoured that Her Royal Highness named this fine ship, and delighted that she continues to display such an interest both in the ship and in the crew. The Duchess will always be warmly welcome onboard”. The Duchess will be escorted onboard by Peter Shanks and will meet several crew members before heading to the bridge. At midday she will sound the ship's whistle, before cutting the cake to commemorate Cunard's 170th Birthday.